Hallmarks are small impressions, struck in jewelry by official assay offices which serve as a type of consumer protection. Once a specific mark was impressed in the metal, the assay office would guarantee the fineness of the material used. The name comes from an English tradition where goldsmiths needed to offer their products for assay at Goldsmith’s hall (“the hall”) before they could sell them. Only marks struck by official – government-controlled – assay offices are to be named hallmarks. When the responsibility mark is struck by the maker, it is named a maker’s mark. Bigorne is a two-horned (or beaked) anvil with both a flat and a rounded striking area. These anvils are used when placing hallmarks and assay marks on metal. From 1818 to 1984, the French instituted a system whereby they engraved their anvils with insects. In the case of the small anvil used to mark jewelry, they were incised in a zigzag pattern depicting rows of insects. This specially engraved bigorne anvil was then used in a system devised to countermark hallmarks. During the Victorian Era in Great Britain, in addition to their hallmarking conventions, a diamond-shaped (or lozenge-shaped) Design Registration Mark (1842-1883), known as a “kitemark” was used on jewelry and other decorative arts. These marks were stamped to indicate the date a particular design was registered, similar to a patent mark. Since kitemarks simply register designs they cannot be relied on to provide an accurate date of manufacture. 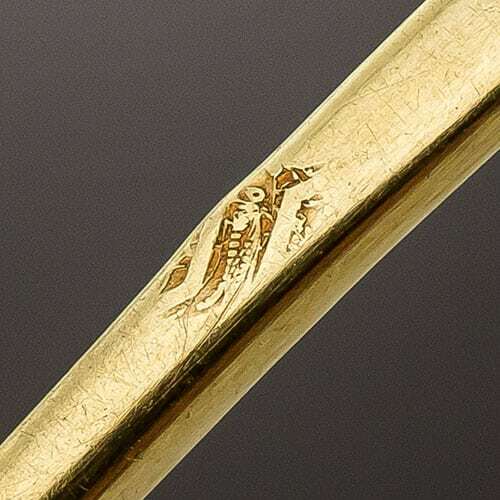 For estate jewelers and jewelry historians, hallmarks provide for an extra source of information to accurately date a jewelry object and determine by whom it was made. The most encountered hallmark on jewelry is undoubtedly the “purity” mark which indicates the total amount of gold or silver used to manufacture a coveted jewel. 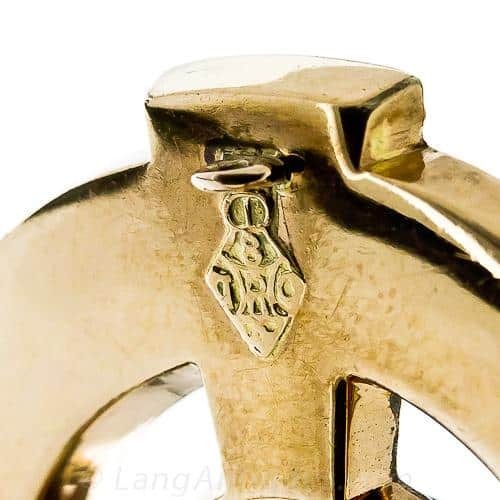 Although the study of hallmarks serves as a wonderful research avocation to many involved in the antiques trade, a trained professional can, and should, put such a desired object in the proper time frame without the presence of such marks. Finland’s Assay Office (Finnish Safety and Chemicals Agency, referred to as TUKES) have announced their recently launched a new website dedicated to the easy recognition of Finland’s hallmarks and including a complete reference of registered responsibility marks identifying Finland’s goldsmiths and silversmiths from 1373 to 1950! This fabulous research tool is just another example of the global awareness of the importance of precious metal mark recognition.